If you or your loved has suffered serious burn injuries in any kind of accident caused by the negligence or deliberate conduct of another party, make sure you understand your legal rights. You are likely already facing past medical bills and are probably wondering how you will be able to afford the future expenses necessary to your recovery. You could be legally entitled to compensation that covers all of these past and future costs. Farris, Riley & Pitt, LLP can help you get every last dollar of compensation that you are entitled to. Our Birmingham burn injury attorneys have more than 100 years of combined legal experience. Our founders were born and raised in Alabama, and we fight to get justice for burn injury victims in Birmingham and numerous other communities all over Jefferson County. Burn injury victims face a long and complicated road to recovery, but you do not have to navigate this path by yourself. Call (205) 324-1212 to schedule a free consultation. Why Do I Need a Burn Injury Lawyer? You are likely to face any one of a number of challenges if you attempt to handle your burn injury claim by yourself. Accidents caused by the actions of private persons will usually lead to flat denials about liability. If you attempt to file a claim with the negligent party’s insurance company, you are likely to experience numerous delays in even having your claim investigated. When injuries are particularly catastrophic, an insurer will typically offer a settlement that is almost always far short of the damages that victims are actually entitled to. You will want to hire an attorney in order to recover as much compensation as possible. Farris, Riley & Pitt, LLP will immediately conduct an independent investigation of your accident and secure the evidence necessary to prove your claim. We will also identify every party that could be liable for your injuries. Your lawyer can then negotiate with an insurance company for a fair and full settlement on your behalf or file a lawsuit when the insurer does not provide an adequate offer. Work with us because we get results. Farris, Riley & Pitt, LLP has obtained several multimillion-dollar verdicts and settlements for burn victims. 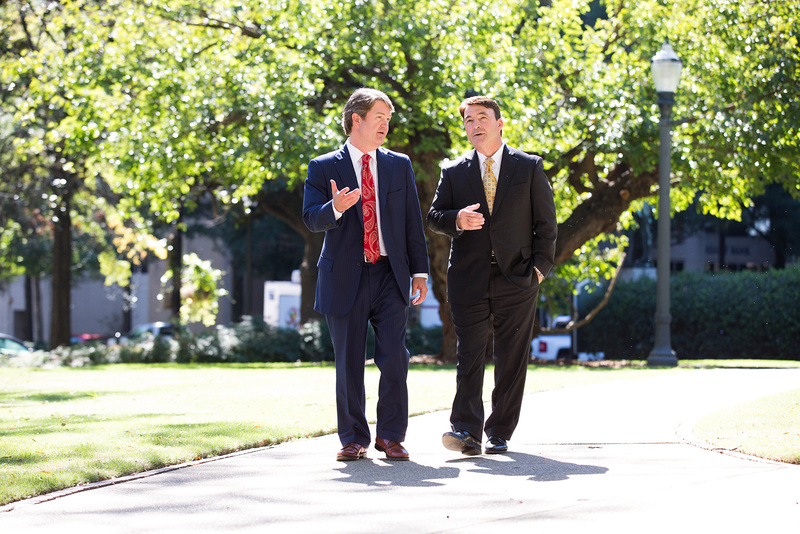 Our attorneys have handled a wide variety of accident cases during our more than 20 years of helping injured Alabama residents and visitors. Kirby Farris and Ken Riley are both Birmingham residents who have been admitted to the Alabama Supreme Court as well as the United States District Court for the Northern District of Alabama, United States District Court for the Middle District of Alabama, and United States District Court for the Southern District of Alabama. They are also both members of such prominent legal organizations as the Birmingham Bar Association, American Bar Association, and Alabama Bar Association. Our lawyers also represent clients on a contingency fee basis, so you do not pay our firm one cent unless you receive a monetary award. We can review your case and answer all of your legal questions when you call (205) 324-1212 right now. The skin is the human body’s largest organ. Burn injuries involve different kinds of damage to skin and possibly other parts of a person’s body, depending on the severity. Thermal Burns — These burns involve contact with hot objects, fire, hot liquid, or steam. Chemical Burns — Also referred to as alkali burns, these occur as a result of contact with acidic substances. Electrical Burns — Contact with an electrical current causes these types of burns. Radiation Burns — These burns are caused by exposure to ultraviolet light, ionizing radiation, or thermal radiation. Friction Burns — These types of burns involve skin rubbing against a rough surface. First-Degree Burns — Superficial burn involving only the epidermis (outer layer of the skin). The most common example of a first-degree burn is sunburn. Most first-degree burn injuries usually heal in a few days. Second-Degree Burns — A second-degree burn involves damage to the epidermis as well as the dermis, the layer beneath the epidermis. Blistering could result and some second-degree burns can involve skin grafts, a procedure where skin is transplanted from another area of the body. Third-Degree Burns — A full thickness burn in which both layers of skin are damaged or destroyed with damage extending into sweat glands and underlying tissue. Third-degree burns always require skin grafting, but additional surgery could also be required. Additional classifications are used for other burn injuries that are often far more catastrophic. Fourth-degree burns extend into the fat, fifth-degree burns extend into the muscle, and sixth-degree burns extend into the bone. Insurance companies rarely account for the true nature of the pain and suffering that victims deal with in recovering from burn injuries. Farris, Riley & Pitt, LLP will make sure this is not ignored when we are fighting to get you the compensation you need and deserve. Contributory negligence is defined as any negligence on the part of the victim that proximately contributes to their injury. In other words, any act of your own that contributes in any way to causing your injuries. Contributory negligence is an affirmative defense that, when proven by a defendant, can bar a victim from seeking damages. In many cases, insurance companies contact victims and get them to unknowingly admit to a certain degree of fault in a recorded phone call and use the conversation as evidence in a civil case. For this reason, you should refuse to speak to any insurer until you have legal representation. How is a burn size calculated? Most medical professionals use the Wallace Rule of Nines (more commonly referred to simply as the Rule of Nines), a tool to estimate the total body surface area affected by a burn. Medical professionals can quickly calculate how much of the body was affected by looking at the respective percentage value assigned to that region of the body for the adult or child on the Rule of Nines chart. The chart’s name is reflective of the majority of the body parts listed having 9 percent body surface area damage, although an entire back or one leg represents 18 percent and a groin burn is 1 percent. What are the different types of skin grafts? An autologous or autograft involves donor skin being taken from another part of the victim’s body. What is known as an isograft, syngraft, or isogeneic graft involves a donor and a victim who are genetically identical. An allogeneic transplant or allograft refers to a graft in which the donor and the victim are of the same species. A xenograft, heterograft, or xenogeneic graft will be between a donor and a victim of different species. With a prosthetic graft, synthetic materials are used to replace lost tissue. Farris, Riley & Pitt, LLP has been fighting for burn injury victims all over Alabama for more than 20 years. Our firm knows and appreciates the many ways in which burn injuries affect the entire lives of victims, which is why we will aggressively pursue all necessary avenues to help you recover the compensation you need and deserve. Did you or your loved one sustain severe burn injuries in an accident caused by another party’s negligence in Jefferson County? Do not say anything to any insurance company without first calling (205) 324-1212 or contacting us online to have Farris, Riley & Pitt, LLP provide a complete evaluation of your case during a free consultation.